The clock is ticking for President Trump to find a new FBI director to take the reins from Acting FBI Director Andrew McCabe -- but Senate maneuvering could rewind that clock or possibly even suspend it. Under the Federal Vacancies Reform Act of 1998, an "acting officer" in the executive branch can hold that position for no longer than 210 days after the vacancy opens. 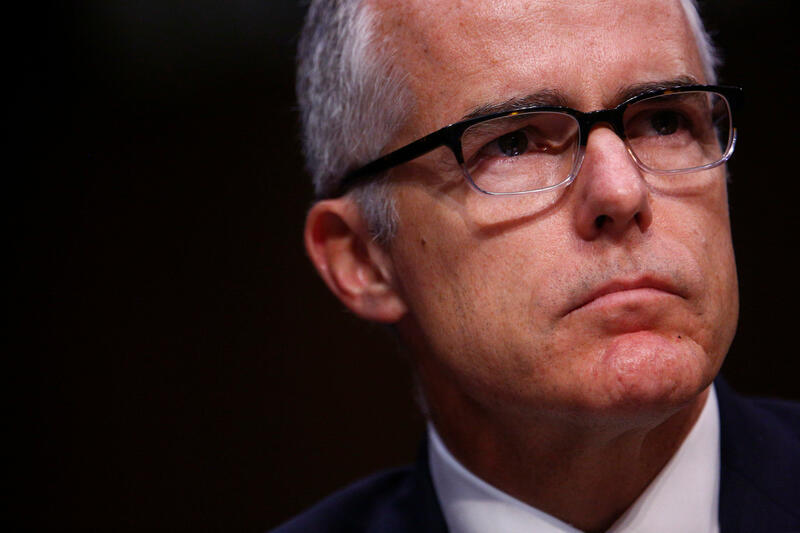 That means McCabe, who was the deputy director until assuming the top spot two weeks ago when Mr. Trump abruptly fired FBI Director James Comey, could serve in that position until December 5 -- close to the end of Mr. Trump's first year in office. If the president hasn't nominated a new FBI director by then, McCabe will have to vacate that post, and the president will have to pick someone else to assume the position of acting FBI director. Theoretically, however, McCabe could stay on as acting FBI director far longer. If the president nominates someone to head the FBI and the Senate rejects that nominee, or returns the nominee to the president due to a recess, another 210-day clock begins. This would also happen if the nominee withdraws, as multiple presidential nominees have done this year. It's a long shot, but theoretically, that would keep McCabe on until early July 2018. If the president's first nominee is rejected, the acting official can remain in that position, "until the second nomination is confirmed," or "for no more than 210 days after the second nomination is rejected, withdrawn, or returned," according to federal law. In that improbable scenario, McCabe could stay in his role until the end of January in 2019. Nominations expire at the end of each Congress, so any pending FBI director nomination at that point would expire. But, if the president nominates someone and the Senate holds up the president's nomination by taking no action on the matter, the legal waters become slightly murkier. How long can an acting official, such as the acting FBI director, stay on if the Senate takes no action on a nominee? "That's a very interesting question because the law doesn't cover it," said Stuart Gerson, who was acting attorney general during President Clinton's administration in the early months of 1993. "It would certainly be challenged by somebody," Gerson added. Another legal expert told CBS News someone in an acting position could, theoretically, stay on indefinitely in the case of Senate inaction. Legal guidance from the Department of Justice Office of Legal Counsel says that, "once the president submits a nomination to fill the vacant office, an acting officer may continue to serve in an acting capacity while the nomination is pending before the Senate." Legal experts CBS News spoke with couldn't think of a precedent for such a drawn-out process, or for an acting official staying in a position so long. Mr. Trump has indicated he will announce his pick for a new FBI head "very soon." But with former Sen. Joe Lieberman, previously a top pick, no longer in the running, it's unclear when that nominee will be named or who that nominee will be. When the president fired Comey earlier this month, he had no one lined up to replace him. In the meantime, McCabe does have the authority to fill his former post with an acting deputy director, in consultation with the deputy attorney general. But any such replacement would probably be informal, and the person would likely retain his or her title within the FBI, Gerson said.